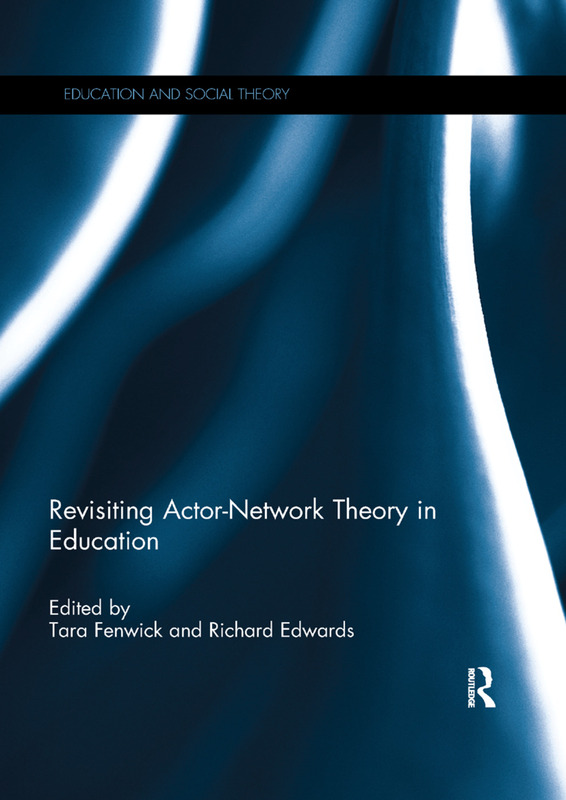 Actor-network theory (ANT) is enjoying a notable surge of interest in educational research. New directions and questions are emerging along with new empirical approaches, as educators bring unique sensibilities and commitments to the ongoing debates and reconfigurations that characterise ANT-inspired research. Ethics and politics are now figuring more prominently in ANT-related educational publications, as are educational policy and the critical studies of assessment practices. Research on digital technology in education has also attracted critical exploration with ANT approaches. This book gathers together articles that address important educational issues while showing creative theoretical and methodological possibilities for ANT studies in education. This book aims to locate these contributions within broader trajectories of inquiry in education and sociomaterial approaches considered worthy of attention, given the challenges facing educators today. It also raises critical questions about what appear to be certain oversights or less helpful ideas in what is emerging in the field. Tara Fenwick is Emeritus Professor at the University of Stirling, UK, having recently retired from her post as Professor of Education and Director of ProPEL, an international network for research in professional practice, education and learning. Her research focuses on understanding learning and practice in the changing complexities of professional work, with particular interest in actor-network and complexity theories to understand the sociomaterial dimensions of practice. Her most recent book is Professional Responsibility and Professionalism: A Sociomaterial Examination (2016), and selected others include Reconceptualising Professional Learning (with Nerland, 2014), Governing Knowledge: Comparison, Knowledge-Based Technologies and Expertise in the Regulation of Education (with Ozga and Mangez, 2014), Emerging Approaches to Educational Research: Tracing the Socio-Material (with Edwards and Sawchuk, 2011) and Actor Network Theory in Education (with Edwards, 2010). Richard Edwards is Emeritus Professor in the Faculty of Social Sciences at the University of Stirling, UK, where he was previously Professor and Head of the School of Education. He has researched and written extensively on lifelong learning and educational theory, with particular interests in poststructuralism and actor-network theory. His research projects have been funded by a range of organisations, including the British Academy, Economic and Social Research Council and the European Union and Wellcome Trust. His research projects have focused on areas such as literacy practices in colleges, curriculum making in colleges and schools, the hidden curriculum of code in digital education and learning through citizen science. His books include Postmodernism and Education (with Usher, 1994), Changing Places (1997), Globalisation and Pedagogy (with Usher, 2000) and Actor-Network Theory in Education (with Fenwick, 2010).